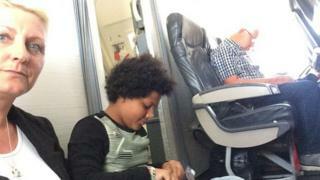 A family returning from holiday found they had no seats once they had boarded their plane and spent part of the flight sitting on the floor. Despite having boarding passes, the Taylor family found empty spaces where their seats should have been. The family, from Alcester, Warwickshire, had paid £1,300 and were flying from Mahon in Menorca to Birmingham with TUI airlines. 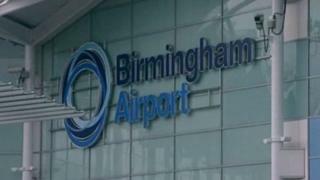 The Civil Aviation Authority is looking into the matter. The family raised the issue with BBC One programme Rip Off Britain: Holiday. Paula Taylor told the show that she, her husband and 10-year-old daughter had got to the airport early, in June, to make sure they were seated together. 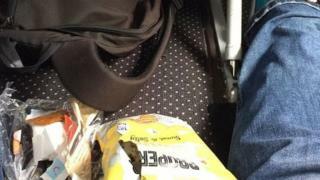 Their seat numbers were 41 D, E and F. But when they got on the plane there was an empty space underneath the numbers. “We all just looked at each other as if to say ‘where’s our seats gone?’,” Mrs Taylor said. Once all the passengers had boarded there was just one seat left. Mrs Taylor’s daughter Brooke was given that seat while she and her husband were given flip-up seats in the crew section. But once the flight had taken off, crew were busy serving food and other items stored behind those seats and Mr and Mrs Taylor had to go and sit on the floor, in the space their seats should have been. They were joined by Brooke as she did not want to sit alone. The family say they were thanked by the plane crew for their understanding. But Mrs Taylor says she was given short shrift when she raised the matter with TUI and was eventually offered a goodwill gesture of £30. After the family contacted Rip Off Britain, TUI refunded their fares and said a “last-minute aircraft change” meant the family’s assigned seats were unavailable, as the alternative aircraft had a different seating configuration. It said it was “sorry for the way the situation was initially handled” and will contact the family directly to apologise. The company has been contacted for further comment by BBC Online. The Civil Aviation Authority says while passengers are allowed to sit in crew seats under certain conditions, they must not be left unseated during any stage of the flight. 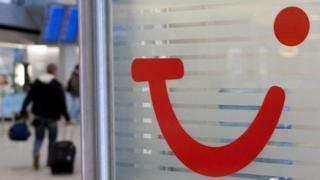 It told Rip-Off Britain it would be contacting TUI for an explanation.